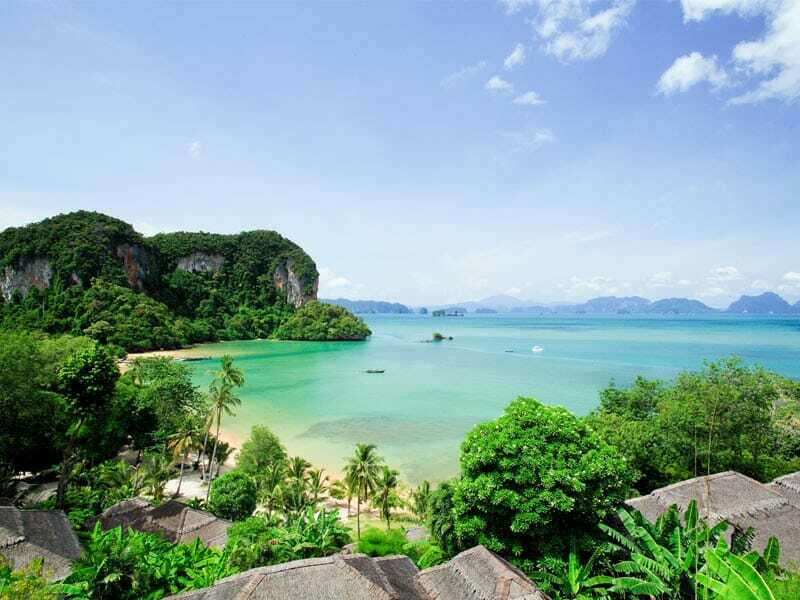 Located on the unspoiled island of Koh Yao Noi is the stunning Paradise Koh Yao Resort. A true escape from the drone of mainstream life – step into a natural island oasis in total comfort. Offering total romance and wellness, guests mainly come here to appreciate the beautiful landscapes, imposing outlook of Phang Nga Bay and exotic wildlife. At Paradise Koh Yao, you are 15-kilometres from any other residence or resort and with thoughtful architecture designed to blend into and not intrude on the pristine nature of the island, this is the ultimate haven for those seeking seclusion and serenity. Departing Phuket, your journey begins on a private, scenic boat ride through Phang Nga bay, where majestin limestone columns abound, and arrives at this stunning beachfront retreat. 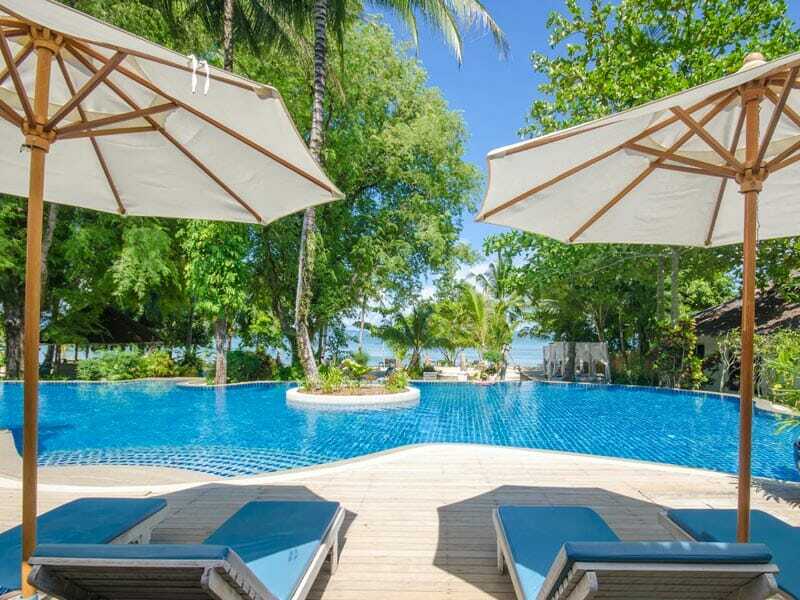 The Paradise Koh Yao is a boutique resort ideal for all looking to get back to nature without compromising on comfort. Surrounded by friendly wildlife and tropical rainforest, the resort opens out onto your own private bay. Enjoy the peace and quiet that nature brings – a perfect place for romantic walks on the beach, candlelit dinners and relaxing spa treatments. If you’re up for some adventure, take part in exploring the local village, snorkeling, island hopping, canoeing and much more. Here, wellness is at the forefront of your experience with the natural surroundings and outdoor activities working wonders for the mind, body and soul. Paradise Koh Yao’s villas and studios, some with private pools and jacuzzis, are nestled amongst 400-metres of untouched beach providing year-round natural luxury. The accommodation is spacious and airy, with contemporary furnishings enhancing a wonderful night’s sleep. With views over the Andaman Sea and shabby-chic décor, it may be tempting to stay in your own private bubble the entire holiday. Why go to Paradise Koh Yao? 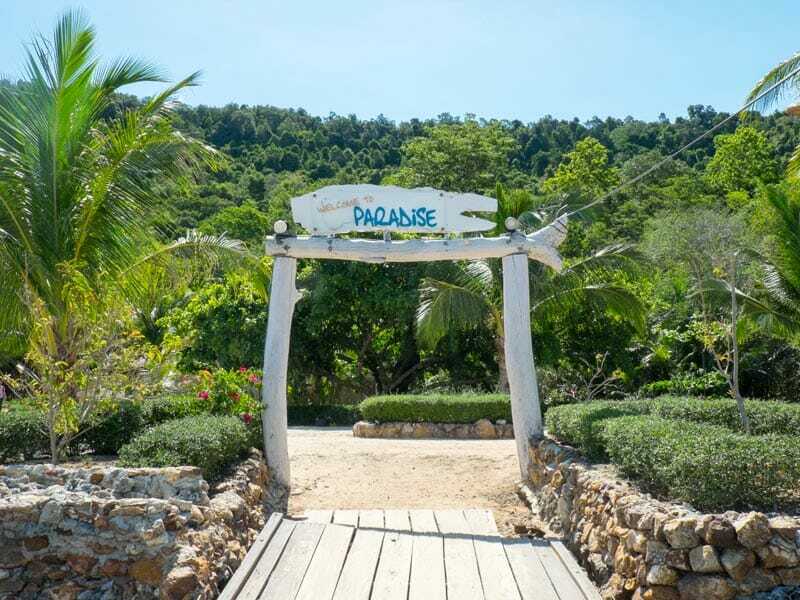 Paradise Koh Yao is the natural luxury retreat you’ve been searching for! This secluded island hideaway is the perfect romantic setting to rejuvenate, unwind and get back to nature in total comfort. The resort’s stylish design, natural textures and furnishings are an echo of the surrounding tranquillity that seamlessly brings the outside in. At Paradise Koh Yao expect to feel at home, in nature and utterly relaxed. If this sounds like your ideal holiday, call our Thailand Holiday Experts now on 1300 008 424! Begin your mornings on the romantic swing for 2, overlooking the green hillside of the resort grounds. The 54sq. metre Superior Studios feel light and airy, with an elegantly netted oversized bed – perfect for a dreamy sleep. Your generous and thoughtful space includes an open-air Sala living area, dressing area, desk, tropical semi-outdoor bathroom and daybed. Perfectly sized for 2 adults these studios include complimentary bottled water, tea and coffee facilities, safety deposit box, minibar, fruit and flowers, bathrobes, laundry service, satellite TV and Wi-Fi. A baby-cot and connecting rooms are also available on request. Soak in your own private jacuzzi, rest on your studio swing and take in the beautiful lush surrounds of the resort – all from the comfort of your Jacuzzi Studio. Much like the rest of the resort, all 56sq. metres of this studio feels open and airy. There is a reason it’s called paradise! This studio features: 1 King-size bed with netting, an open-air Sala living area, dressing area, desk, tropical semi-outdoor bathroom, daybed, complimentary bottled water, tea and coffee facilities, minibar, fruit and flowers, bathrobes, satellite TV and Wi-Fi. Nestled into the resort’s hillside and overlooking the exquisite Phang Nga Bay, paradise awaits! Enjoy a romantic evening indulging in the tropical night air and peaceful silence as you sip champagne from your private plunge pool. Awaken to bird song and soft breaking waves on the swing in your open-air living area. Then, and only then, you might want to venture out for a day’s snorkeling or pampering at the spa. The Plunge Pool Deluxe Room calls for total relaxation! Other features include: 1 King-size bed with netting, private plunge pool and deck, dressing area, desk, tropical semi-outdoor bathroom, daybed, complimentary bottled water, tea and coffee facilities, minibar, fruit and flowers, bathrobes, satellite TV and Wi-Fi. Beachfront elegance at Paradise Koh Yao! Enjoy secluded luxury with direct access to the beach, views from your private pool (with jacuzzi) and couple’s swing – perfect for sunset champagne. Quietly and carefully nestled amongst the surrounding gardens, your Pool Villa even has its own bar! A sprawling 91sq. metre paradise; relax into your beachfront, garden oasis complete with a large outdoor living area, elegantly netted King-size bed and uninterrupted views of Phang Nga Bay! 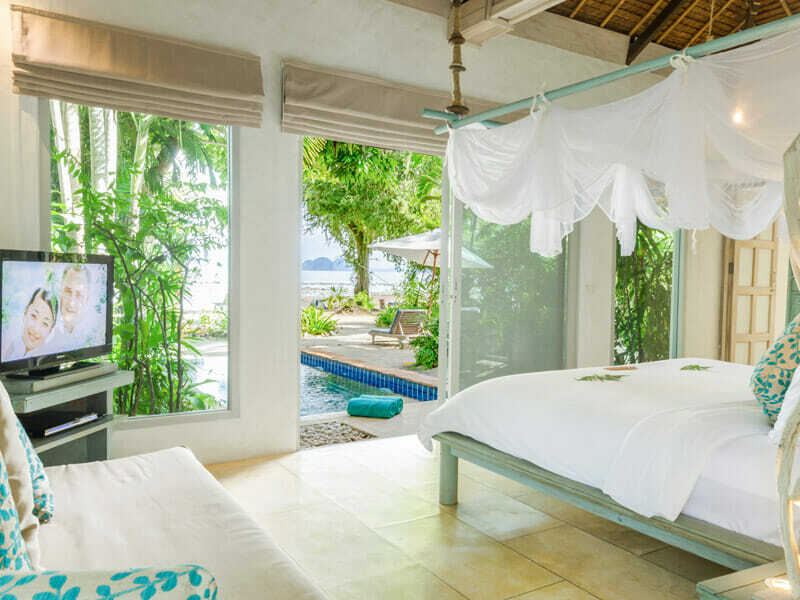 These villas also feature: a daybed, separate walk-in closed and dressing area, stylish writing desk, tropical semi-outdoor bathroom with rain shower, air-conditioning, mini-bar, tea and coffee facilities, bathrobes and evening turn-down service. 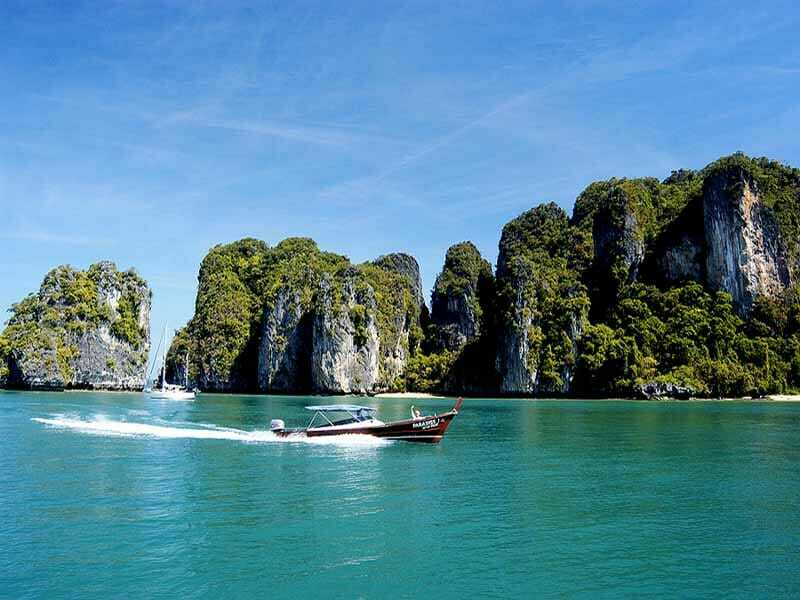 Situated in Phang Nga Bay between the island of Phuket and Krabi this paradise is most widely recognised from Hollywood. A natural wonder that featured in films such as The Beach with Leonardo DiCaprio and James Bond’s The Man with the Golden Gun. This is a destination that allows travellers to relish crystal-clear waters, warm sunshine and rejuvenating breezes. Experience the best of tropical rainforests, unique limestone formations and pristine waters when at Koh Yao Noi island, with views over famous Phang Nga Bay. The beachfront location makes the Paradise Koh Yao an ideal place for swimming, snorkeling and relaxing on the sand. With day trip options to go out scuba diving, jungle trekking, mountain biking, fishing, elephant sightseeing and more; the activities outside the resort are just as tempting as the on-site spa treatments beckoning. Spend time indulging in a massage after a big day out exploring or opt for calming yoga on the beach. After sundown, the resort comes to life with fire dancing, Muay Thai exhibitions and traditional Thai dancing entertainment. A perfect balance of relaxation, adventure and culture. We stayed here for 6 nights having spent the previous 2 weeks sightseeing in different parts of Thailand. As such, we were ready for a rest and relax, and this is just what we got at Paradise Koh Yao. If you like lying in a hammock on the beach with the sun shining, azure skies, the gentle sound of waves lapping with a book in one hand and a cocktail in the other this is definitely the place to come. The staff here are lovely and made every effort to ensure we had everything we needed. As the resort is literally at the edge of a rainforest, nature abounds with tropical flowers galore. This was a peaceful break thoroughly enjoyed. Our travel experts have done the research to handpick only the finest resorts in Thailand based on quality, service, and location. If we wouldn’t stay there, you won’t find it at My Thailand! Relax, rejuvenate and discover Thailand at the Westin Siray Bay Resort & Spa! Enjoy an idyllic Thai beachfront retreat at the stunning Sheraton Hua Hin Resort & Spa. A jungle backdrop with white sands in front, it doesn’t get more luxuriously tropical than this beachfront resort! Modern & chic with tropical influence, this is the ideal 5-star luxury escape. Relax in absolute privacy and secluded luxury at the Sheraton Hua Hin Pranburi Villas. The ultimate adults-only Thai getaway! Think private beach, infinity pool, swim-up bar and more! 5-star excellence and unbeatable horizon views. This is the Thai resort dreams are made of! Unbeatable skyline vistas, 5-star services and luxurious spacious living. This is the ultimate urban escape. Explore the best of Phuket from this modern, boutique resort - think stylish interiors and a tranquil location. Stay at akyra Beach Club, Phuket for a secluded tropical sanctuary by the sparkling Andaman Sea. Escape to a stunning beachside Phuket paradise at the Avista Grande Phuket Karon, MGallery by Sofitel. 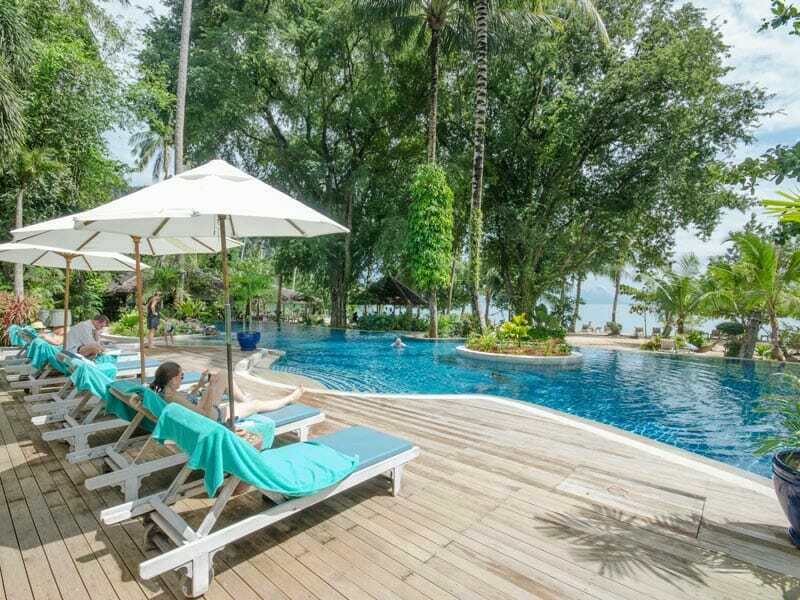 Experience untouched natural beauty in a pristine waterfront location at Away Koh Kood. Tucked away in lush gardens and mountainous terrains is the 4-star Duangtawan Hotel Chiang Mai. Live your beach life to the fullest and enjoy picturesque sea views any time of the day at Apsara Beachfront Resort. Unwind and recharge at this ultra-modern retreat; complete with a wellness centre and dazzling ocean views! Adults-only excellence dazzles deep within the jungle. This is a sustainable 4.5-star retreat like no other! Discover 5-star luxury atop the Patong hillside - perfectly placed for a soothing holiday away. Get direct access to a picturesque, palm-fringed beach when you book a room at Cassia Phuket. A private beach, luxury villas—need we say more? This lush, tranquil resort is truly enchanting! You’ve found your perfect beachfront Phuket escape at the Angsala Laguna Phuket. 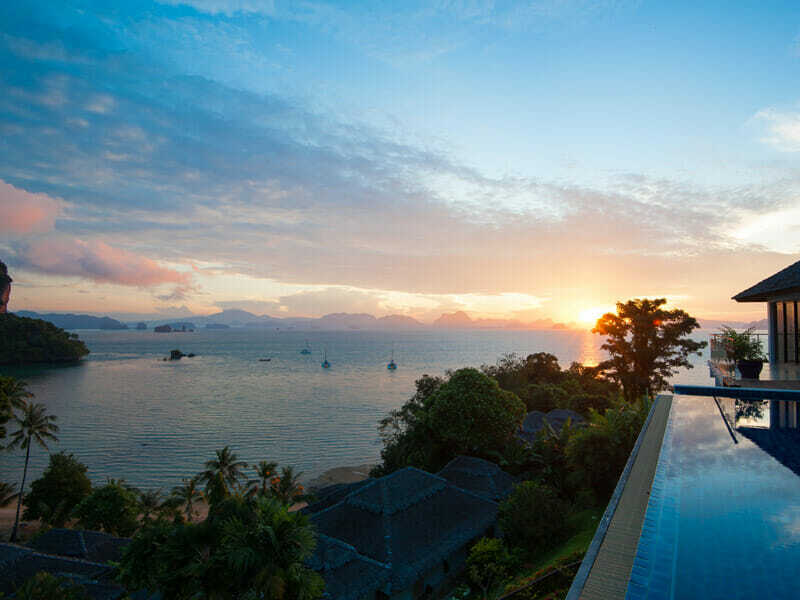 Enjoy complete seclusion and relaxation on this sprawling paradise overlooking Phang Nga Bay. If you are looking for a hotel near the Patong Beach that gives a unique experience, Hotel Indigo Phuket Patong is the way to go. Stay at Andaman Embrace Patong Phucket for the perfect balance between relaxation and adventure! Grand, luxurious and dramatically picturesque. This resort is a perfect mix of Thai charm and chic excellence! 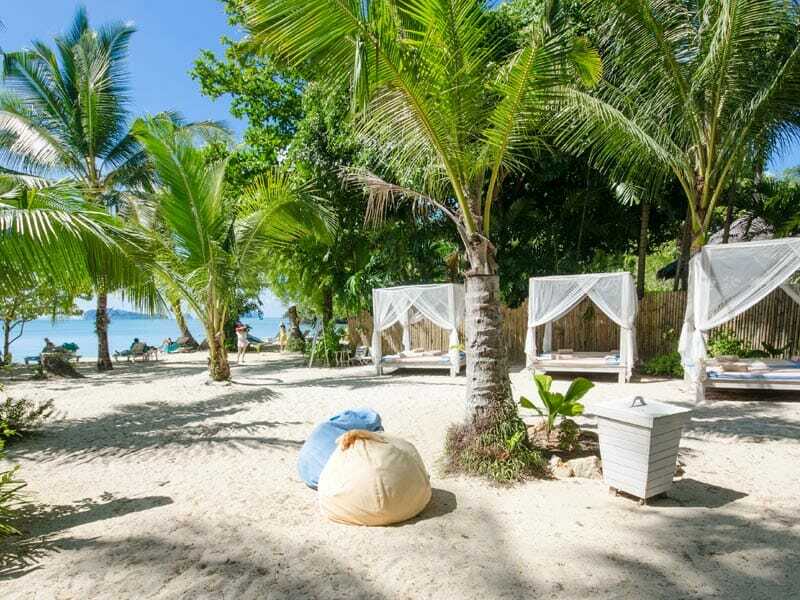 The perfect island getaway set on beautiful Panwa Beach. Pullman Phuket Resort Panwa Beach is paradise. 5-star wellness retreat in the heart of Phuket – Amatara Wellness Resort is a space for complete relaxation. Experience contemporary luxury with spectacular ocean views at Kalima Resort & Spa Phuket. An ideal tropical getaway nestles between the lush Thai jungle and blissful waters of Karon Beach. Enjoy a luxury beachfront getaway surrounded by nature at Moracea by Khao Lak Resort.